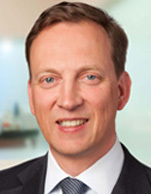 Achim Boehme joined Lomar’s management team as Chief Financial Officer early 2010 and later in the same year was appointed Chief Executive Officer. Achim has many years of senior experience in maritime transport, ship finance and maritime law. Achim studied law and economics at Münster, Freiburg and Speyer (postgraduate) universities and worked in barrister’s chambers and German shipping law firms. He was employed as shipping specialist at Hamburgische Landesbank before joining Deutsche Schiffsbank, then one of the world’s leading ship finance banks. For several years he was Deputy General Manager at Deutsche Schiffsbank and Head of Greek Shipping. During his banking career he carried out numerous ship finance transactions and was involved in many of the landmark deals in international and Greek shipping. As Chief Executive Officer at Lomar he has overall responsibility for the company’s strategy, development, management and is also General Manager of Lomar Germany.